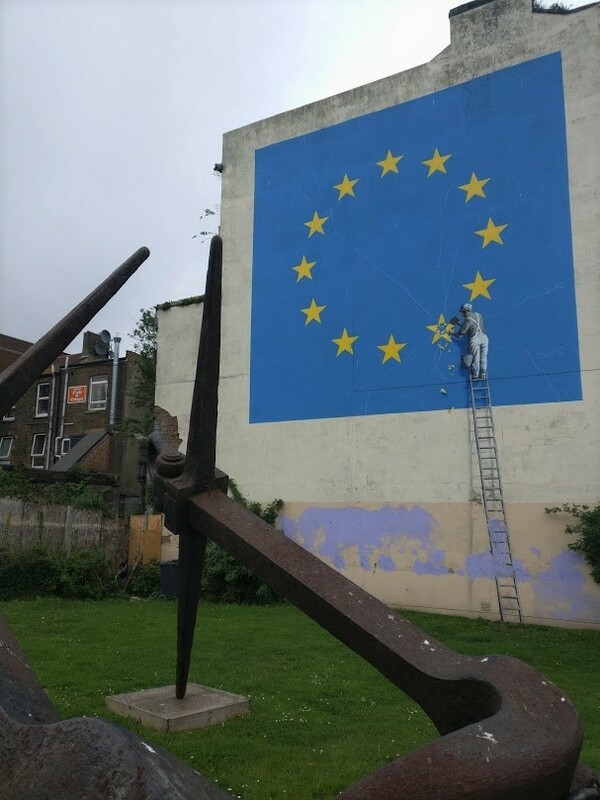 Living in London is great but it does get to you sometimes. 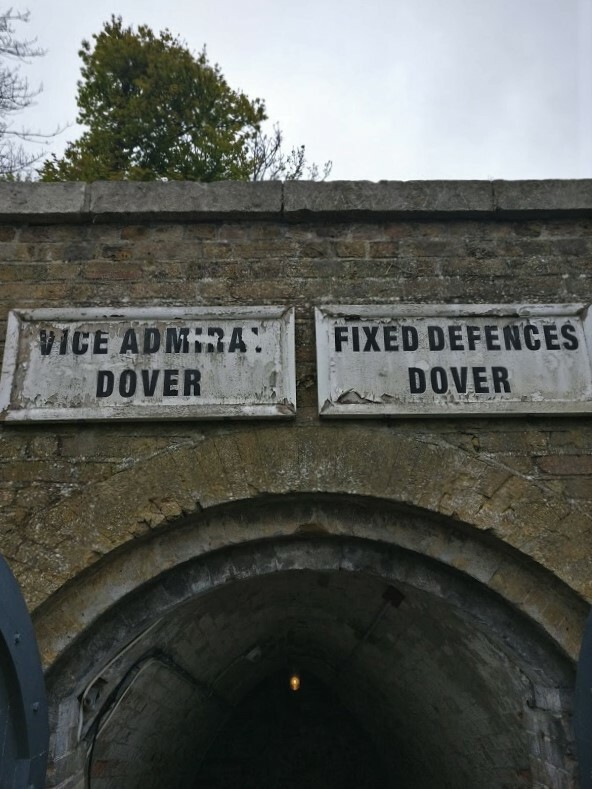 So we decided to change the scenery for a day and Dover was the place of choice, mostly because it’s not more than a 2 hour train ride from London. This was April, which in UK terms means it can be a breezy and cloudy and, of course, knowing our luck we couldn’t do without the rain. Not that it spoiled our trip that much. 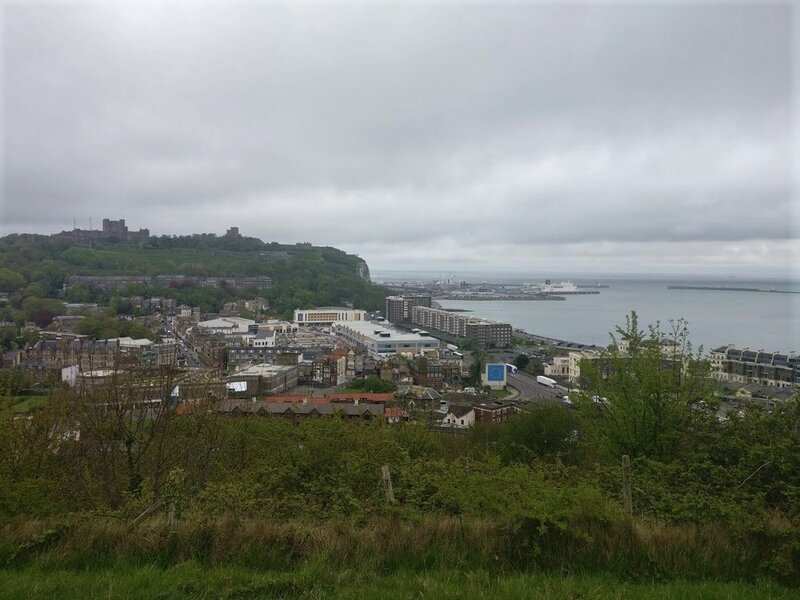 Dover is a major port town with a lot of historic significance, especially during World War II, but it’s’ now mainly known for its famous White Cliffs. The coastline is separated from Calais in Northern France by only 21 miles across the English Channel. 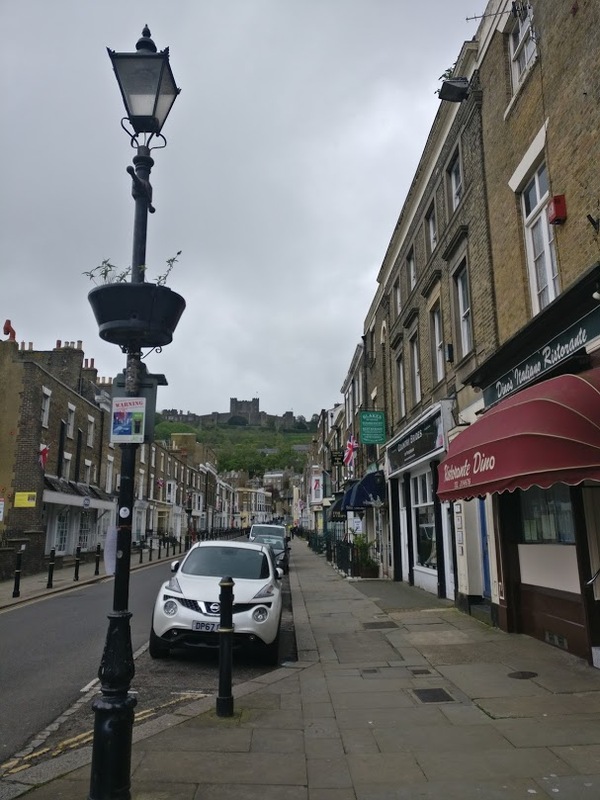 The town itself is quite sleepy and in a bit of a bleak shape but still worth the quick walkthrough in order to reach the castle. 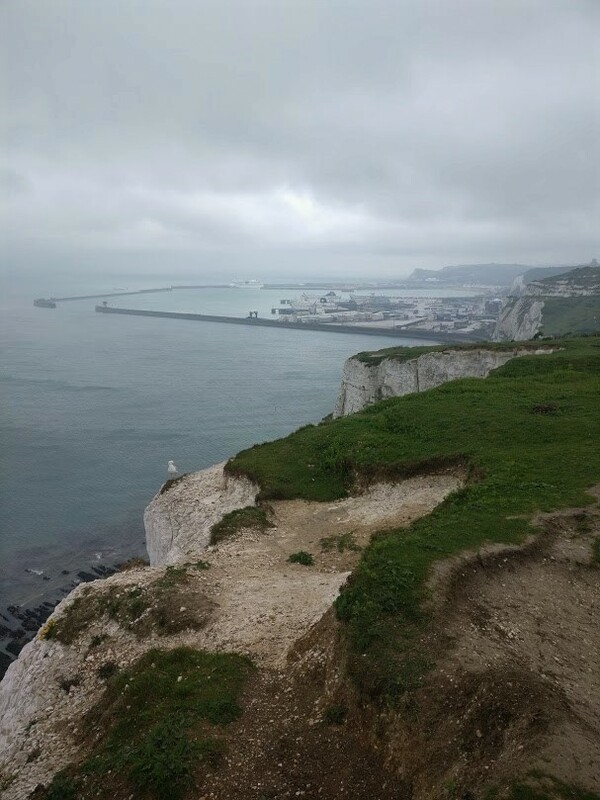 The first place we actually went for was the Western Heights of Dover. In a sentence, it’s what’s left of strongholds and trenches built to protect the town from the French Invasion back in 19th century. To be honest, it was a bit creepy to wander there even during daytime so we did not stay for long. We did enjoy the view from the top of the hill though. 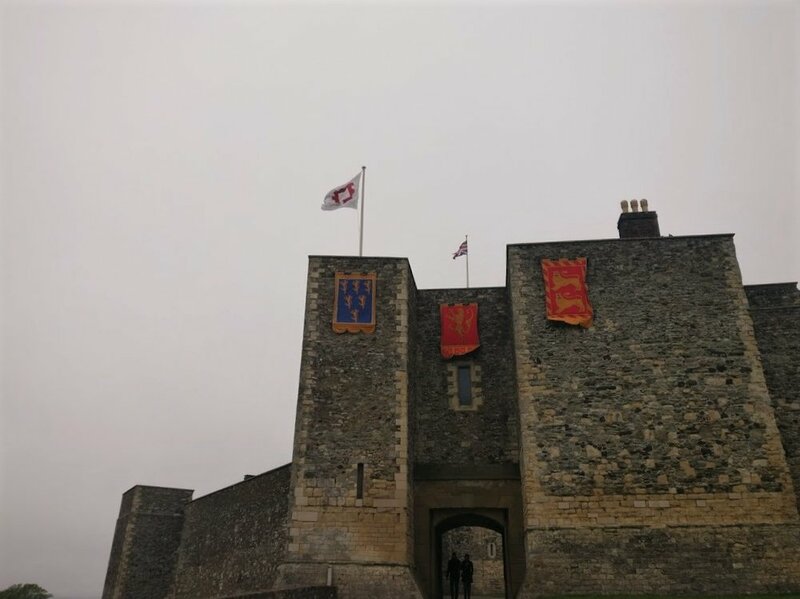 Positioned at the shortest sea crossing to mainland France, the castle’s main function throughout history has been that of one of the most important defensive strongholds in Britain. 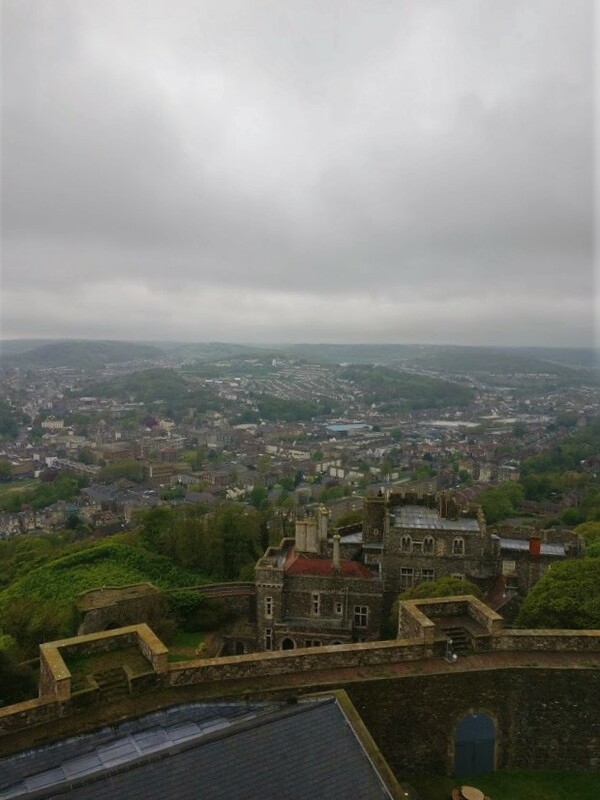 The surviving legacy of its significance is evident - the site dates back to the Iron Age, there are remains of a Roman lighthouse and an Anglo-Saxon church. However, much of what we can still see today is the medieval castle of Henry II. In addition to that, there is a lot more of recent history. 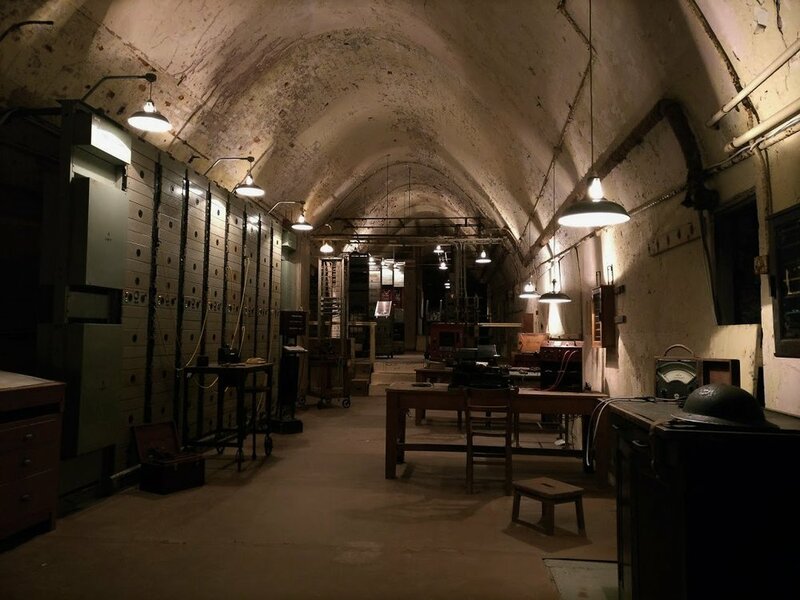 In the same complex we got to visit the Secret Wartime Tunnels, where the largest military evacuation operation in history was masterminded (if you don’t know anything about it, start by watching Christopher Nolan’s excellent Dunkirk (2017) ) and a wartime hospital tour. 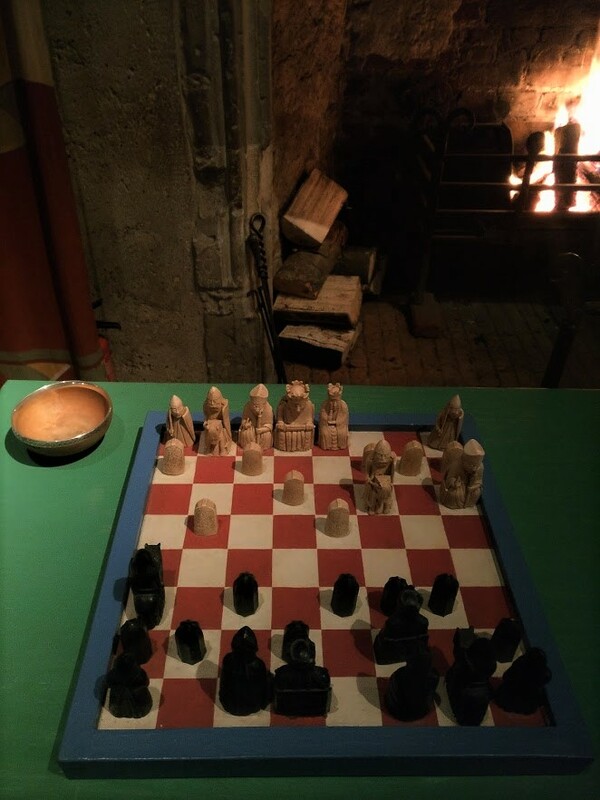 Might be fair to mention that the entrance fee can seem quite steep - £20 for an adult ticket - but in retrospect it’s worth it, especially considering the history and significance of the place and guided tours that are included. You get your money’s worth. We did dwell on it a little bit but knew we’d for sure regret not going. 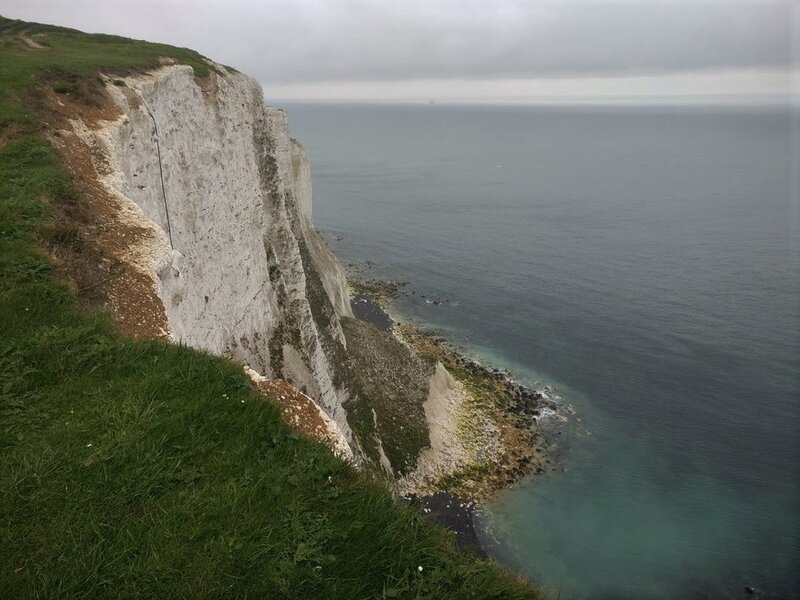 There are several walking paths along the cliffs. 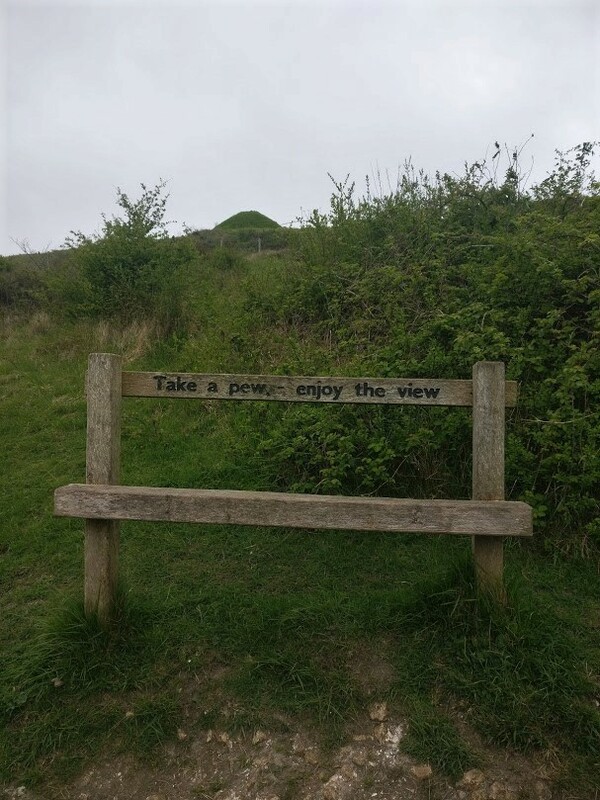 There’s a wheelchair friendly path, and you can make a short walk to the main viewing points or instead go for long distance routes. Here is more information on the different walking routes. 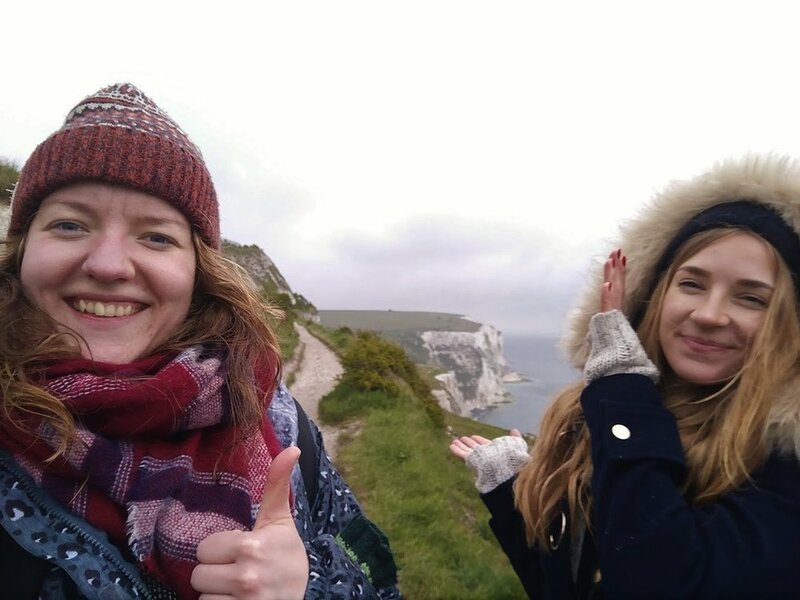 We pretty much chose the most straightforward one along the coastline and decided to keep going until we reached the lighthouse, which looks deceivingly a lot closer than it actually is. The first part found us walking along the massive buzzing port underneath until we moved further away and ultimately managed to enjoy the view in its full chalky glory. Not that all went smooth because as much as we like to think that we have learned from our previous hiking mistakes, we did not have the most appropriate shoes and it was extra slippery due to the mud. 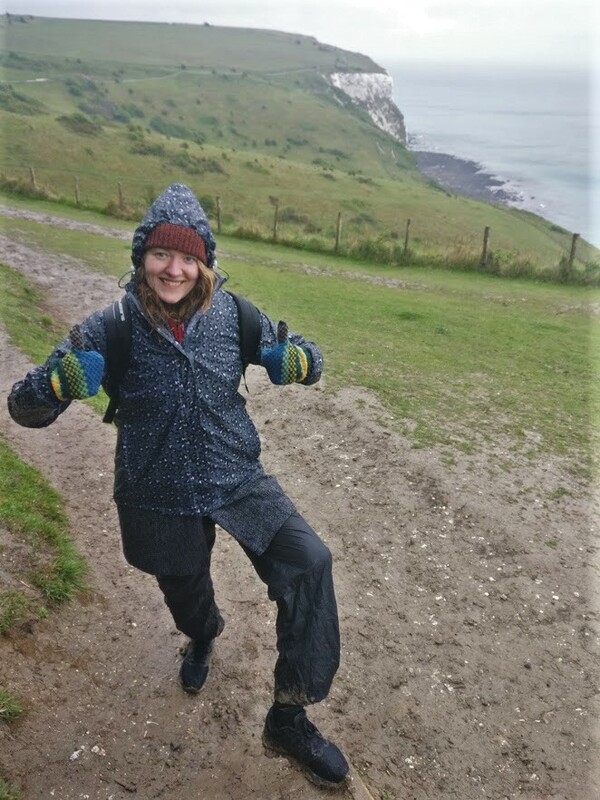 Also, as we discovered, even if you think you got all the waterproof gear, it’s no match for British weather and the smart one of us who brought the raincoat ended up just as soaked as the other one. 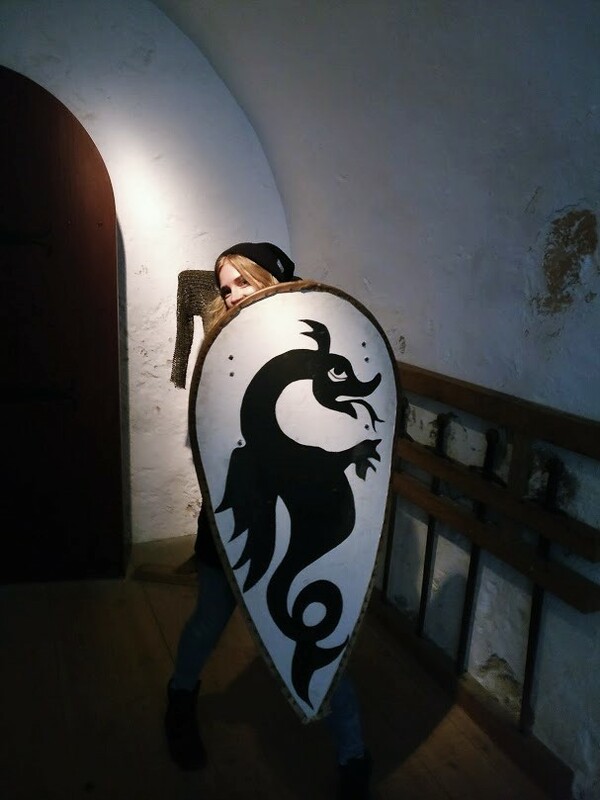 You have about a 1h30m walk from the Castle until you reach the lighthouse. Don't get too excited because it will appear on the horizon quite early on but you need to cross a few hills to get there first. The lighthouse has been deactivated since 1988 and now houses a museum. 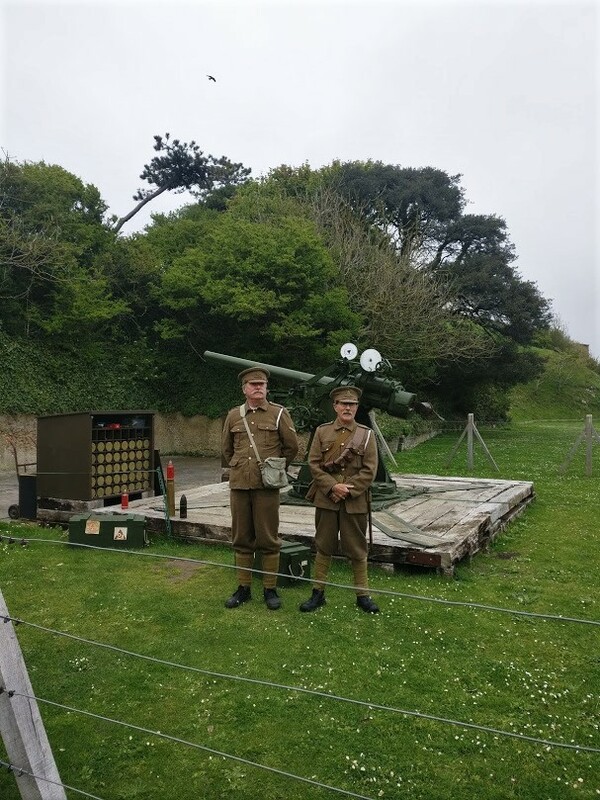 The £6 entry fee includes a guided tour which adds much value to the visit. 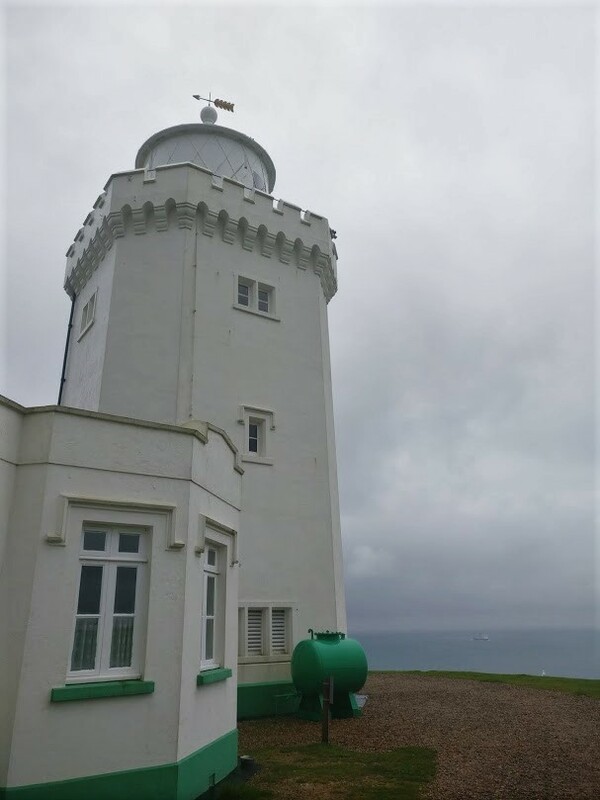 We were impressed by how much we learned from our guide about the importance of lighthouses and sea navigation and what fascinating history has taken place here. He told us about the deadly Goodwin Sands and the tragic fate of the ships who have found their grave there (the numbers from different sources vary naming around 1000 to 2000 wrecks). It puts in perspective how much of a vital function lighthouses, and this one in particular, used to serve. In addition, these deadly sands are a wargrave for a number of World War 2 planes. This is also where Michael Faraday conducted his experiments, bringing on the changes in lighting technology - from initial coal fire to making this the first ever lighthouse in the world to use electricity and Marconi ran experiments in radio communication. 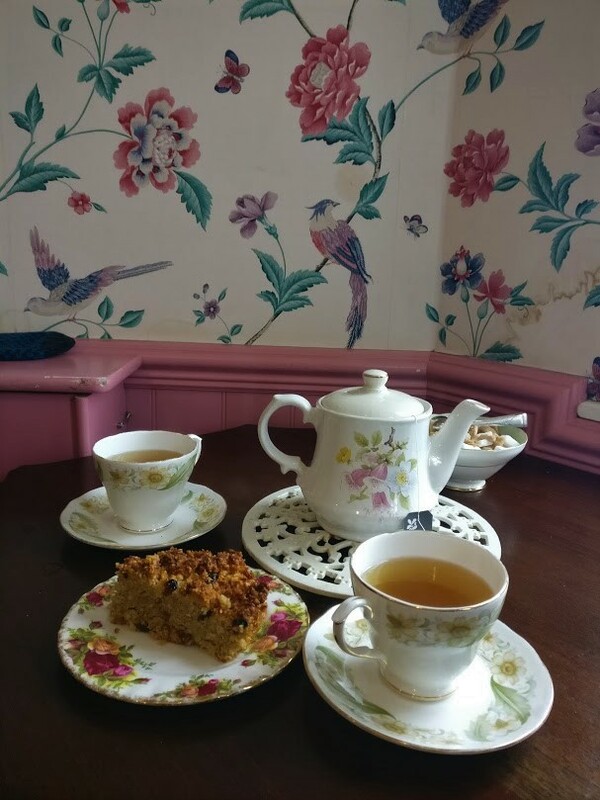 A very cosy 50s inspired tearoom with an old record player, aged photographs and pretty much floral patterned everything. 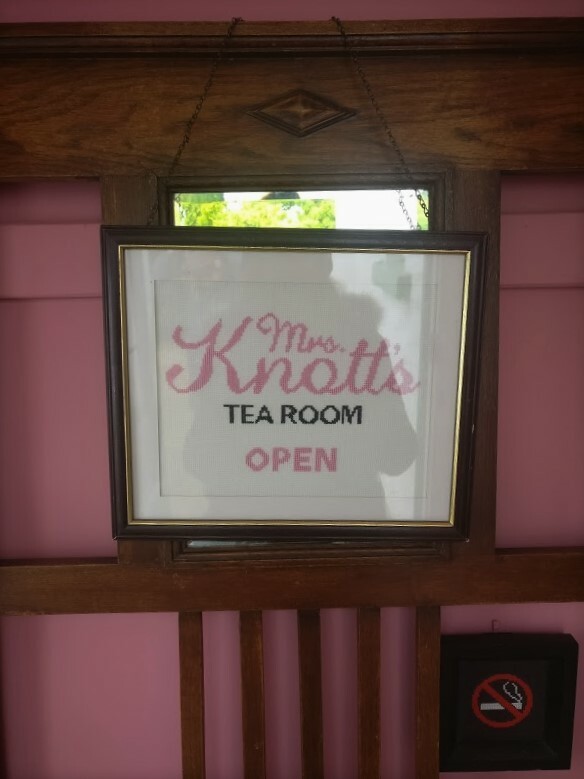 We found this to be the perfect place to stock up on some snacks and, of course, tea. 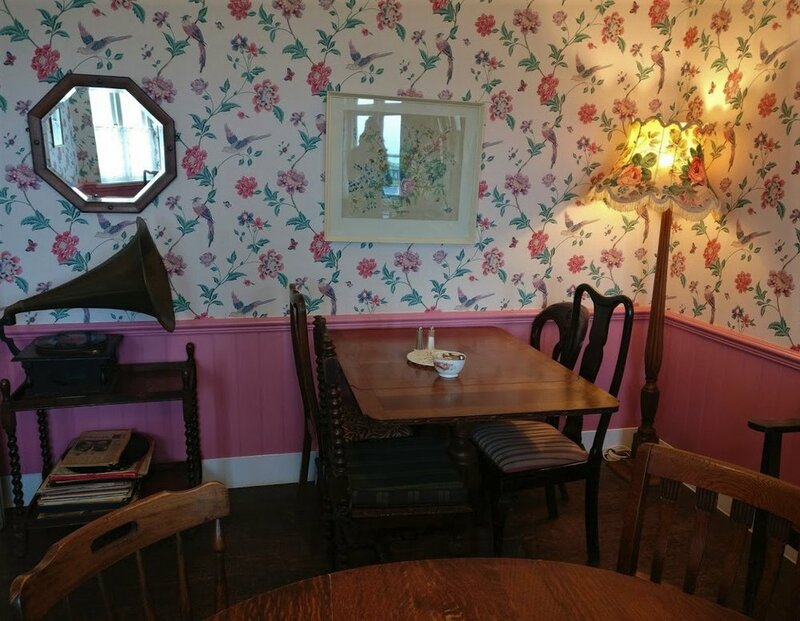 During most of its time, the South Foreland lighthouse has been manned by lightkeepers of the Knott family, in whose honour this cottage-turned-tearoom has been named. We turned back at this point, as it was getting late we had to consider our train back home, however, if we would have kept going after the lighthouse we’d have reached the seaside village of St Margaret’s. Next time. A much deserved pint was needed to warm up our bones and conveniently the first pub coming back into town is also the oldest in Dover. 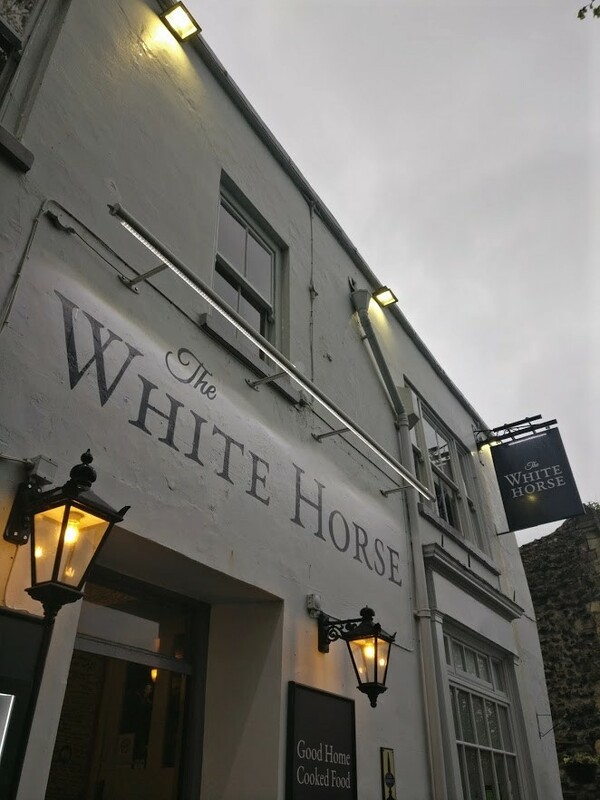 The White Horse dates back to 1365, so it’s really kind of visiting a museum. And you know we’re are all about learning more about the local history. 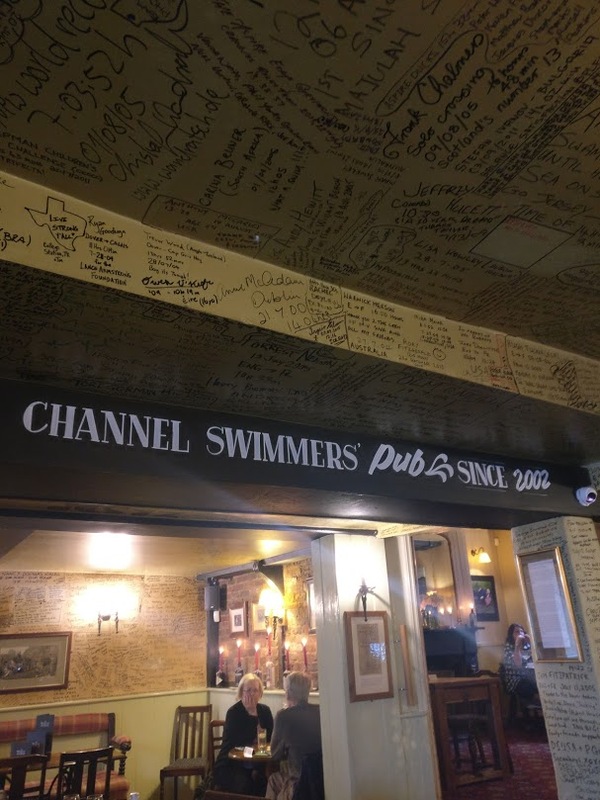 What also sets this pub apart is the interesting decor - the successful Channel swimmers have made a mark on the walls, the ceiling and pretty much anywhere they could find a spot to record their achievement. Seeing how many people had braved swimming across the English Channel, we did consider it for a hot second until a quick Google search set us straight: you have to swim 21 miles and it sets you back around £2,500 for helicopter and boat entourage expenses. We would rather spend that on a more lengthy and possibly less chilling trip. 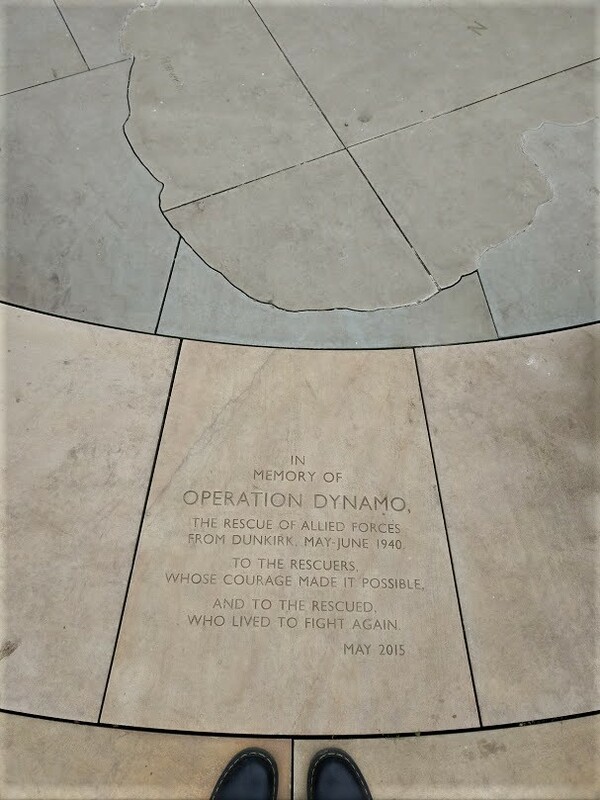 Ok so we actually didn’t manage to find time to visit this memorial but it is worth an honorable mention. 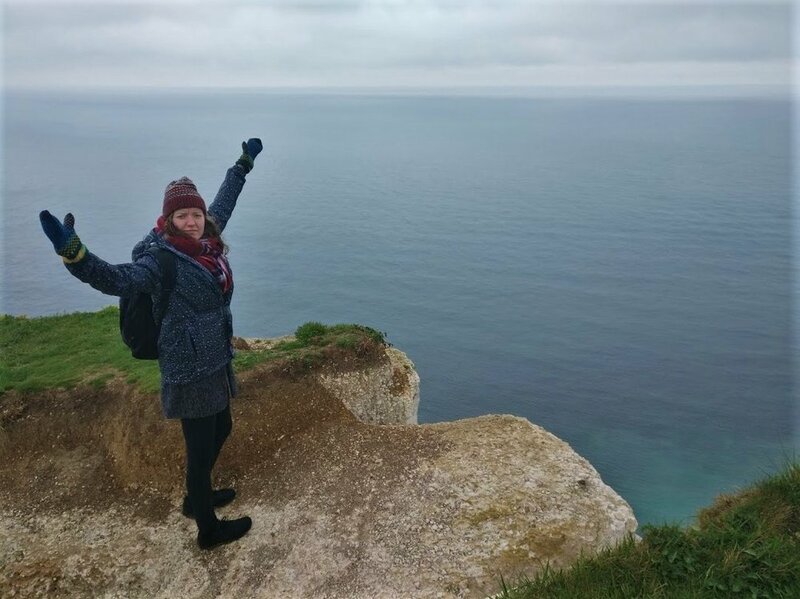 It’s pretty badass to be the first ever person to cross the English Channel (by air, this time around). We find it difficult to even comprehend how much of a daring feat it must have been considering how much aviation has progressed since 1909.